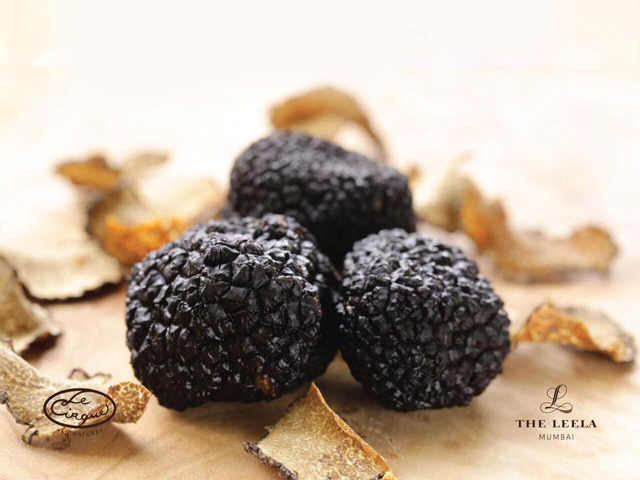 Our love affair with truffles started last year. The sensuous taste of these delights of the gourmet world played on out taste buds, travelled to our euphoric stomach & settled in our hearts. Celebrated by chefs around the world these "black pearls" are as interesting to know about and we had covered 5 fun facts about them here. Le Cirque Signature, a name that resounds in prestigious culinary corridors of New York, Las Vega & more is a celebrated Italian restaurant at The Leela, Mumbai. When an indulgent signature menu featuring the star of the epicurean circles- Black Truffles from Italy came calling, we just could not resist. 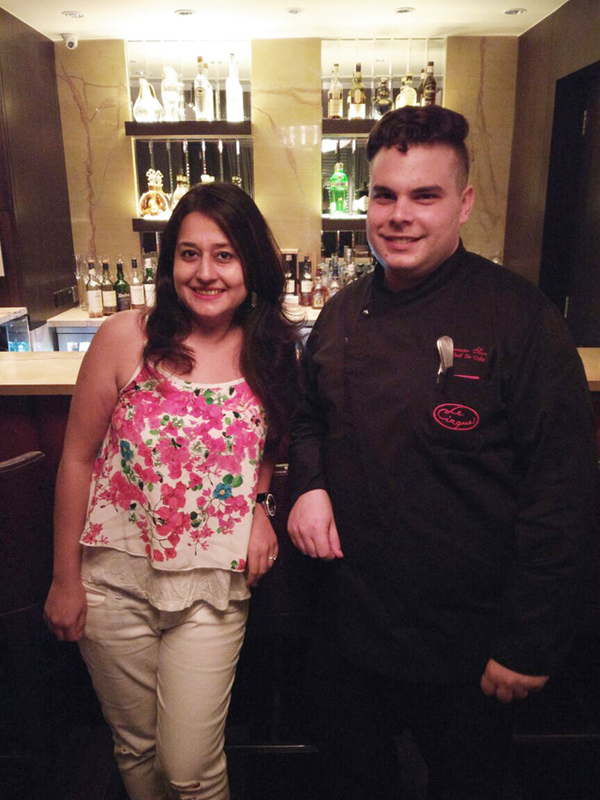 The opulent indulgence took us on a gourmet high like no other and we are sure you want to know all about it. 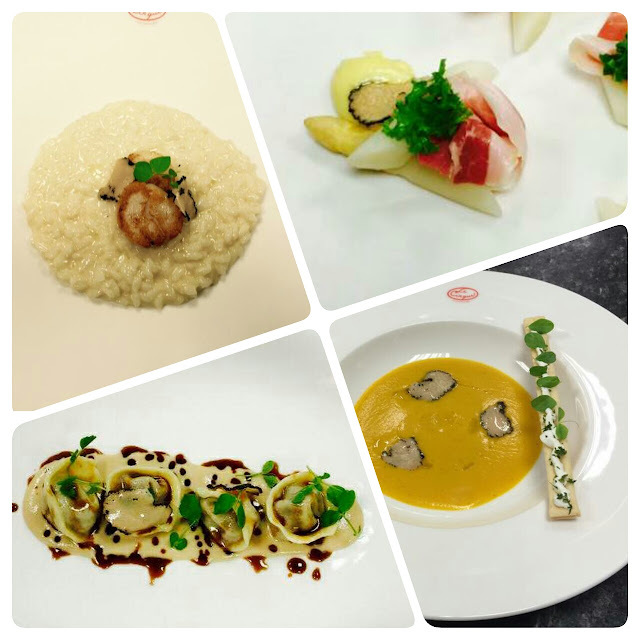 Chef Lorenzo Severini has planned an exciting menu featuring dishes like Truffle Salmon, Champagne Risotto, Poached Lobster & more. The highlight is that if you just want to indulge in just a taste opt for the a la carte menu with shavings of black truffle...a great way to experience its earthy robust flavor. About us? We went the whole way & indulged!!! The evening started with a classic potato & leek amuse bouche- vichyssoise served with a truffle shaving. 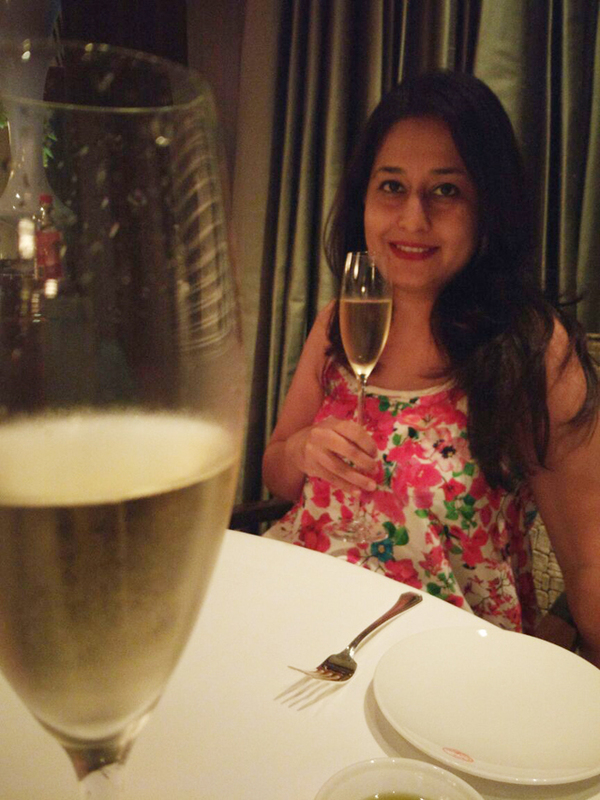 Paired with a glass of G.H.Mumm, an elegant & bubbly champagne from France, it scored a point. Next, the Butternut squash soup made with pureed butternut squash & drizzled with basil & thyme oil, topped with fresh cream was a hearty start. Bismarck - an appetizer made with white asparagus, Parma ham & Hollandaise sauce paired perfectly with our glasses of G.H.Mumm. The next course of Duck Ravioli- ravioli stuffed with duck confit & drizzled with duck jus & truffle shavings & Champagne Risotto generously topped with fresh seared scallops....and yes u guessed right, truffle shavings paired well with a fruity Santa Cristina Pinot Grigio from Italy. We dug into our Red Wine Chicken Breast- generous portion of red wine marinated chicken breast served with mashed potatoes & zucchini & Poached Lobster- served with morel (an edible fungus) tempura along with the delicious company of Alan Scott Pinot Noir, an aromatic red from New Zealand. The truffle love continued in our desserts with Chocolate Sphere- a delicious dessert made with eggnog & biscotti truffle ice cream placed in a halved chocolate sphere & Raspberry Cappuccino- a delicious blend of fresh raspberries & coffee mousse served aptly in a coffee cup topped with milk truffle foam & truffle shavings. If you want to discover why truffles are coveted in the gourmet world, the black truffle indulgence at Le Cirque Signature is a good start!